Every year The War Memorial Foundation hosts two events, one for Memorial Day and for Veteran’s Day. The events are held at The Carolina Field of Honor, which serves as a gathering place for ceremonies and events to honor those who serve. Their mission is to honor service men and women, educate families, and to help children know the stories and memories from Veterans. 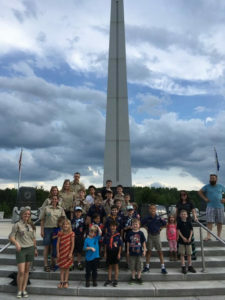 Keeping their stories and memories alive honors them and their service, and also enables the next generation to respect the honor of serving their country. At Oxner + Permar we enjoy taking part in local events and showing our appreciation to the Veterans in our community. There are thousands of residents who have served or are currently serving and it is important to us to honor their stories, memories, and experiences. If you are interested in attending the next event held at The Carolina Field of Honor you can check out their website for further details. You can also follow Oxner + Permar on Facebook where we provide additional community events and resources. At Oxner + Permar we love to help our clients find local organizations who provide help to those in need. NC 2-1-1 is a great resource for people in North Carolina looking for assistance with housing, utilities, food, healthcare, and addictions. NC 2-1-1 is a referral service provided by the United Way that gives callers information in all 100 North Carolina counties. They are available 24 hours a day, 7 days a week, 365 days a year and your call is free and confidential. They are available in most languages and will refer you to a program or organization that is local to you. As part of the State Emergency Response Team, they are also available during natural or public disasters to help residents with everything from real-time communication to evacuating to meals and post-disaster cleanup. If you’re a resident of North Carolina and are in need of assistance, but aren’t sure where to start, give NC 2-1-1 a call. Simply dial 2-1-1 from a landline, cell phone, or VOIP. They have Spanish speaking call specialists and professional language interpretation services in 170 languages. Additional information can be found on their website. At Oxner +Permar we strive to provide our clients with as many resources as possible. Follow us on Facebook for additional community resources. If you enjoy knowing where your food comes from, learning more about local agriculture, or want to spend the day dancing to bluegrass and folk music, this is a great event for you. Every Saturday and Sunday in June there will be self-guided tours of farms throughout South Carolina, with food and activities for children and adults. It is a free event that is open to the public where local artisans will be set up to display their work, there will be live music, food, hayrides, barnyard animals, and fresh veggies to pick as you tour historic farms. The Ag + Art Tour has grown since it began in 2012. The event started out with just one farm and now includes tours of farms in 12 counties every weekend in June, and is the largest farm and art tour in the United States.The tours start Saturday, June 2 with five farms to choose from. If you are interested in attending any of the free farm + arts tours in South Carolina throughout the month of June, more information can be found on their website. The All All American Marathon is coming up on Sunday, March 25. Along with the All American Marathon there will also be the Mike-to-Mike Half Marathon and The All American 5K. These three races take place every year at Fort Bragg. The race is put on by MWR which is the welfare and recreation organization for the Army. All of the proceeds go back into the organization for their programs, gyms, child and youth services, and for soldiers and their family members. The race is in honor of service members and to honor those who serve and those who have given everything. The Mike-to-Mike Half Marathon is named after a soldier symbol on Fort Bragg, Iron Mike. This half marathon runs past the original Iron Mike located in downtown Fayetteville and finishes at the main post parade field running past the duplicate Iron Mike. He’s a symbol of soldier’s strength and power, being iron strong. 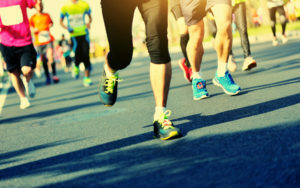 Runners who would like to participate but are unable to make it to Fayetteville on race day may still sign up and run anytime and anywhere that is convenient to them. More information for the Virtual Race is available on their website. If you would like to sign up for The All American Marathon, the Mike-to-Mike Half Marathon, or the The All American 5K, you may visit their website. Don’t Let Holiday Stress Make Your Injuries Worse! The holiday season is upon us. The stores are bustling and full of decorations, many people are planning holiday dinners, and everything seems to be a bit busier than usual. While the holidays can be a fun and exciting time of year, they can also be exhausting and bring with them a lot of negative emotions. If you’ve suffered a work injury, then your holiday season might be a bit different than it has been in years past. But it’s important to remember that experiencing stress and depression around the holidays is completely normal. It’s okay to feel sad or frustrated. Many people experience feelings of isolation and loneliness. If this happens to you, don’t hesitate to reach out to your community. Whether you volunteer somewhere or attend a religious or social event, do something that helps connect you with other people. It can be difficult, but remember, it’s okay to say no to things. If you’re not feeling up for visiting with people or cooking food for the family, it’s okay to opt out. What’s most important is focusing on your recovery. Overexerting yourself can make your injuries worse. 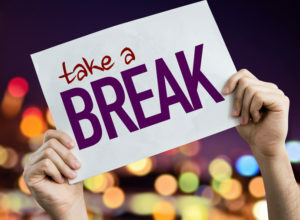 It’s a good idea to set aside time to yourself and take lots of breaks. Being realistic about what you’ll be capable of doing can also help reduce stress. Come up with a game plan and be ready to adjust it in order to accommodate how you’re feeling. 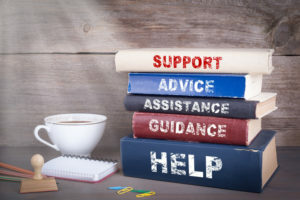 Of course, if you find yourself struggling or feeling very depressed, don’t hesitate to seek guidance from a professional. At Oxner + Permar, we want our everyone in our community to have a wonderful holiday season. Be sure to take care of yourselves and be safe!